At Elmwood Small Animal Hospital, we know how important your pets are to your family. That’s why Ganon Harish, DVM, MVSc, CVCP and the entire team at our Buffalo, New York veterinary practice is committed to providing the highest quality in your pet’s health care. We offer excellent wellness and medical care for dogs, cats, and ferrets, including vaccinations, laboratory testing and full diagnostic, surgical, and dental care. 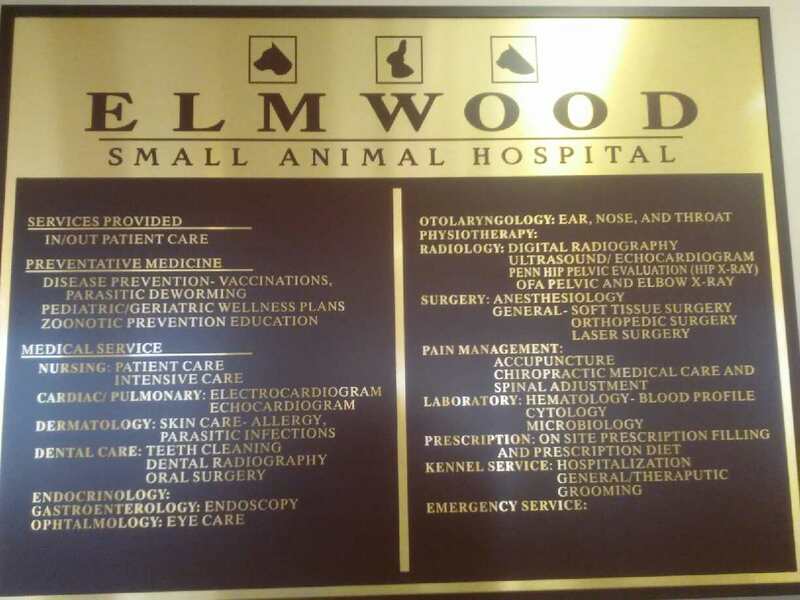 We invite you to look around our site to learn more about Elmwood Small Animal Hospital and to see how we can be an integral part of your pet health care. We know the first step towards a healthy and happy pet begins with selecting a Buffalo veterinarian that you can rely on and we are honored that you've chosen to partner with us for the care of your pet. We treat all animals as if they were our very own and we're glad to have you as part of our family.